I'm a big fan of nail art and hate having bare nails but these days, I never have time nor patience to be sitting round waiting for 10 layers of polish to dry. So, at the Clothes Show Live in December, I bought a pack of the imPRESS Nails (as publicised by the beautiful Nicole Scherzinger). 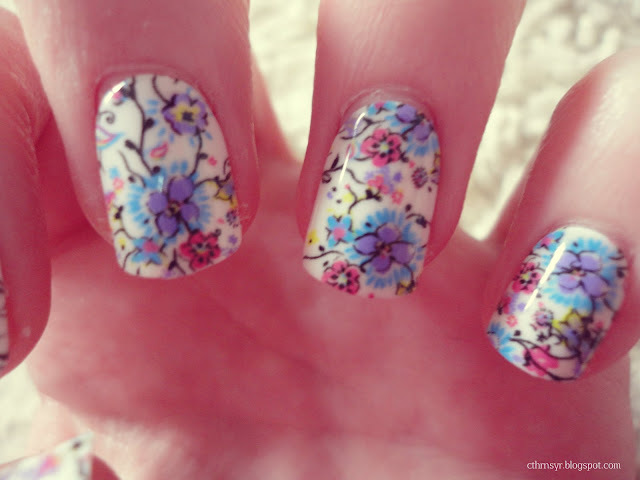 The design of these really stood out and I thought some pastel, spring coloured nails would cheer me up and be perfect for Easter! The design is called TGIF. The first thing I found was that they were so easy to apply. You just wash your hands, swipe your nails with the 'prep pad' then peel the backing off the nail and press on. It's definitely easier to line up the nails in size order before you apply them so you're not searching round for the right size. Also, the pack suggests doing your thumbs last because you'll need them for peeling the backing off! 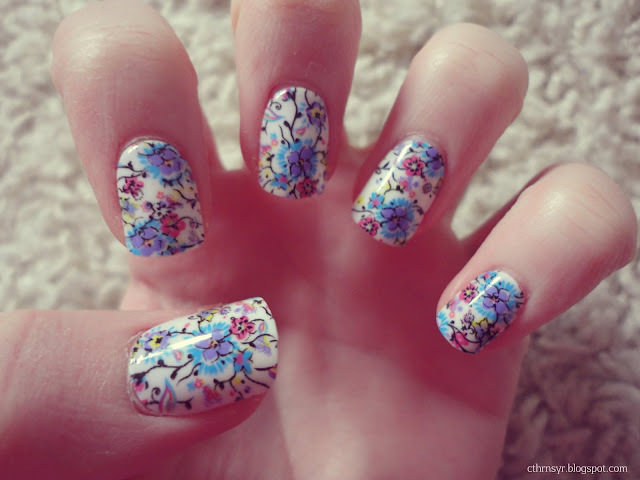 Then you press firmly down on your nails for a few seconds and voila, your new nails are revealed! They literally took me about 10 minutes to do, so are perfect if you have an unplanned night out. The length of them is fine for me, I hate overly long nails that you can't do anything with but these are just long enough to make a difference and I can still type and do day to day things without my nails getting in the way. I believe these are the 'short length' ones though so I'm not sure whether the normal ones would be too long for me. They have plenty of sizes too, so everyone should find sizes that are right for their nails. Longevity wise, I can't say much about them as I've only had them on about 24 hours. However, they don't feel flimsy at all and I still have all 10 nails intact! The pack says they'll last up to a week so I'll see whether they live up to that claim. Have you tried the imPRESS Nails before? What did you think of them? Wow, those nails are incredible! 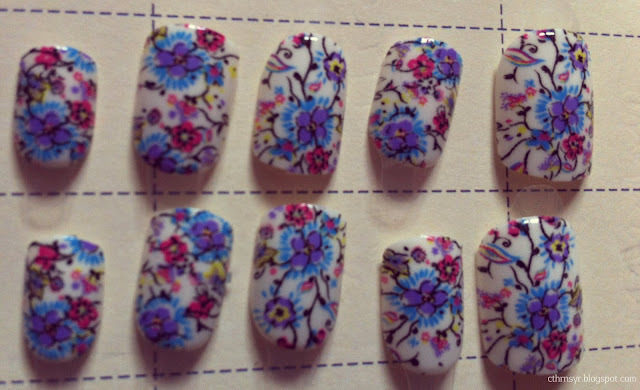 I never have the patience to sit down and do nail art myself, so these look perfect for me, ha. These are amazing, I'm gonna deffo try these out!